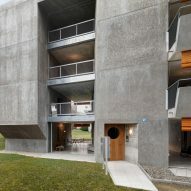 Concrete-lined living spaces extend out onto angular balconies at this low-cost housing block in Zurich, designed by locally based studio Gus Wüstemann. 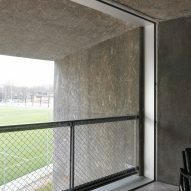 The monolithic block is surrounded by 1950s housing in the suburb of Albisrieden. 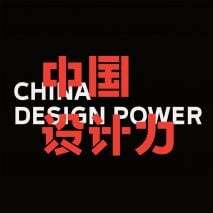 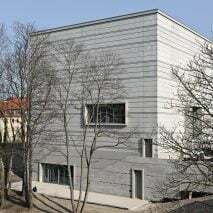 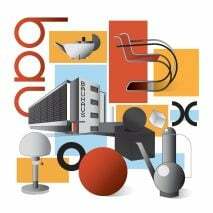 It was designed by the Swiss architecture studio for the Baechi Foundation and contains nine apartments. 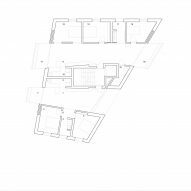 The new block is slotted in among its linear neighbours, with the aim of offering affordable housing with a high quality of living based on the provision of ample natural light, privacy and generosity of space. 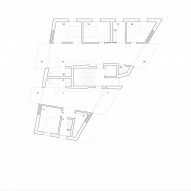 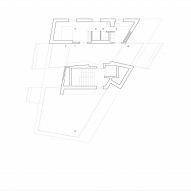 Each floor of the angular building accommodates a three-bedroom units at its wider end and a smaller two-bedroom apartment at the other end. 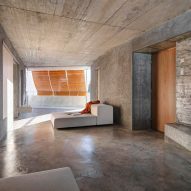 A one-bedroom residence occupies one side of the roof, with the other side providing a communal terrace. 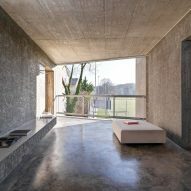 A staircase and lift are positioned between the residential units, which feature living spaces occupying large openings carved into the solid concrete volume. 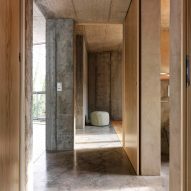 "Morphologically [the building] is a solid concrete block, organically formed, from which two courtyards were cut out," explained Gus Wüstemann. 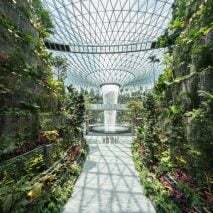 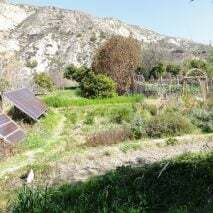 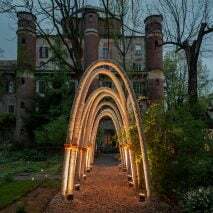 "In these courtyards the living spaces float like bridges, from the morning sun to the evening sun." 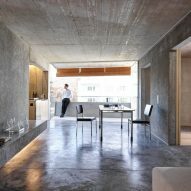 Living areas of each apartment are lined on both sides by sliding glass doors that can be retracted to open the rooms up to the open air. 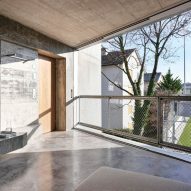 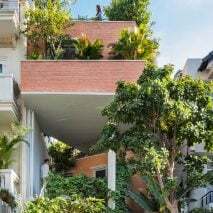 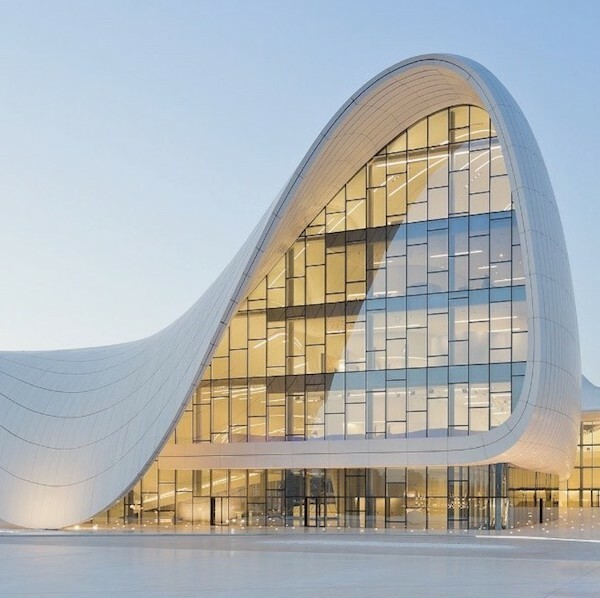 Spaces are connected by cantilevered concrete balconies or terraces that are protected from the sun and unwanted overlooking by slatted roller blinds. 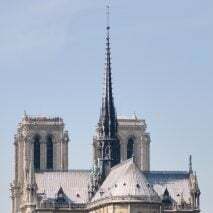 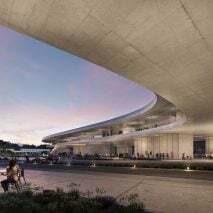 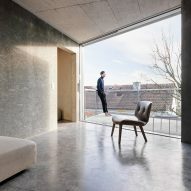 To reduce costs, the budget was focused on a couple of key interventions that define the overall quality of space: the sliding windows and the inclusion of built-in floating benches in the living areas. 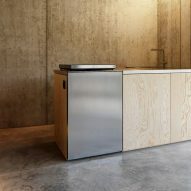 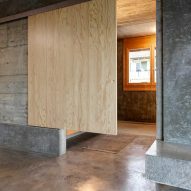 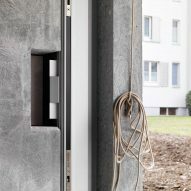 The architecture studio described the cast-concrete interiors as a form of topography that defines the spaces and incorporates functional elements such as the benches and wardrobes. 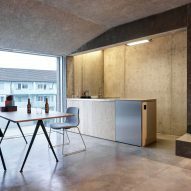 Walls inside the apartments feature textured surfaces created by casting concrete in formwork made from oriented strand board. 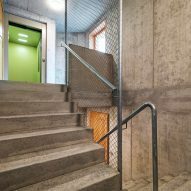 Gus Wüstemann used the same technique for the exterior and interior of another Zurich apartment block, as well as for the interiors of a 19th-century building converted into nine flats. 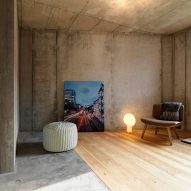 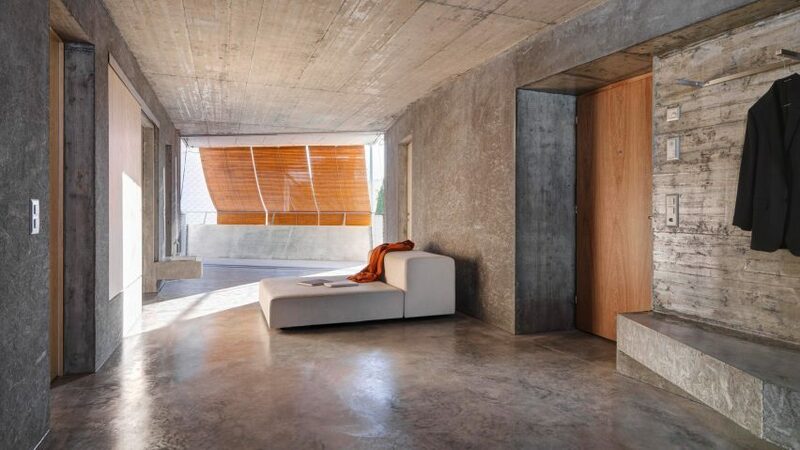 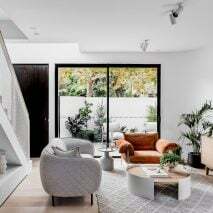 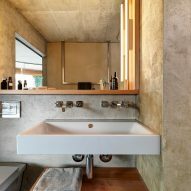 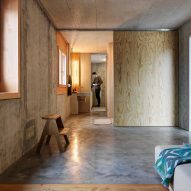 Throughout the block concrete floors flow throughout the living spaces, bathrooms and into the bedrooms, where they contrast with an area floored with wood to give it a more intimate feel. 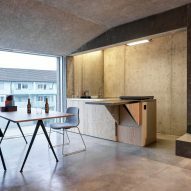 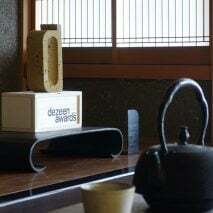 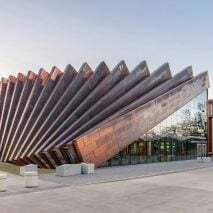 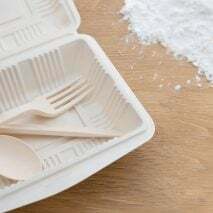 Wood is also used for details such as windows frames, doors and kitchen units, which incorporate a fold-out surface that provides extra worktop space. 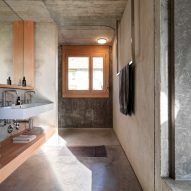 In the three-bedroom apartments, a large sliding door that purposely does not touch the ground separates the bathroom from the common living space. 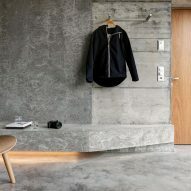 A smaller concrete bench projects from the wall just outside the bathroom.